These photos of scientific heroes and accomplishments inspire awe and curiosity. * Science has given humanity an incalculable boost over the recent centuries, changing our lives in ways both awe-inspiring and humbling. * Fortunately, photography, a scientific feat in and of itself, has recorded some of the most important events, people and discoveries in science, allowing us unprecedented insight and expanding our view of the world. 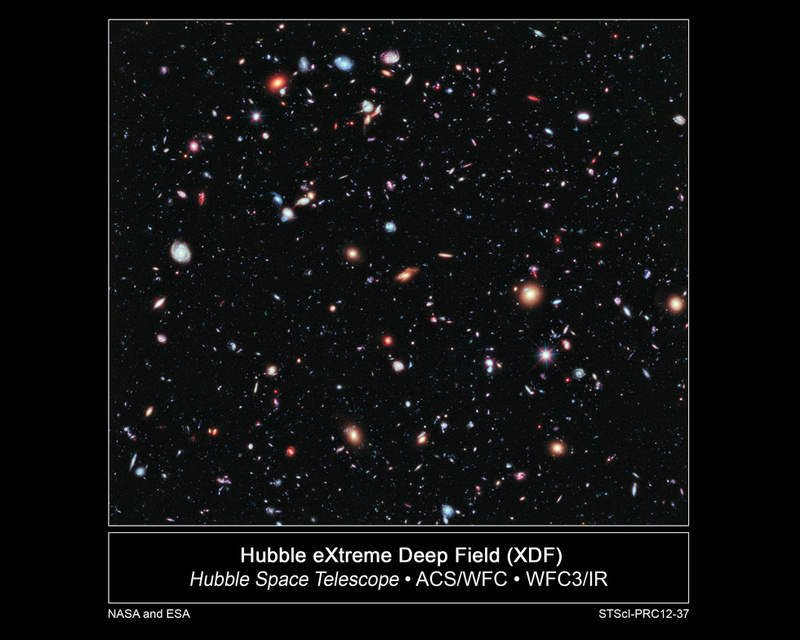 ￼ This photo, released on September 25th, 2012, called the eXtreme Deep Field, or XDF, was put together as a combination of 10 years of NASA Hubble Space Telescope’s pictures. All this image does is show us the beginning of the universe. The galaxies revealed by the image date back to about 13.2 billions years ago while the universe is estimated to be 13.7 billion year old. 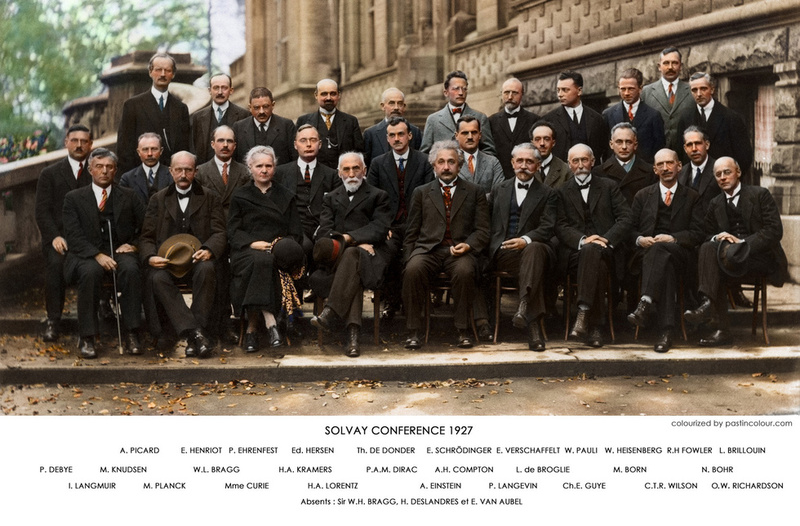 ￼ One of the most famous gatherings of scientists that still continues to this day, the Solvay Conferences are pre-occupied with tackling the major problems of physics and chemistry. The meeting is produced by the International Solvay Institutes for Physics and Chemistry, founded by the Belgian industrialist Ernest Solvay in 1912. Perhaps the most famous such conference was the one that took place in October 1927, when the topic was electrons and photons. That meeting, documented in this photo, was attended by seminal figures in physics and chemistry, including Albert Einstein, Marie Curie, Niels Bohr, Werner Heisenberg, Erwin Schrödinger, Max Planck, and many more. 17 of the 29 people attending were or became Nobel prize winners following it. 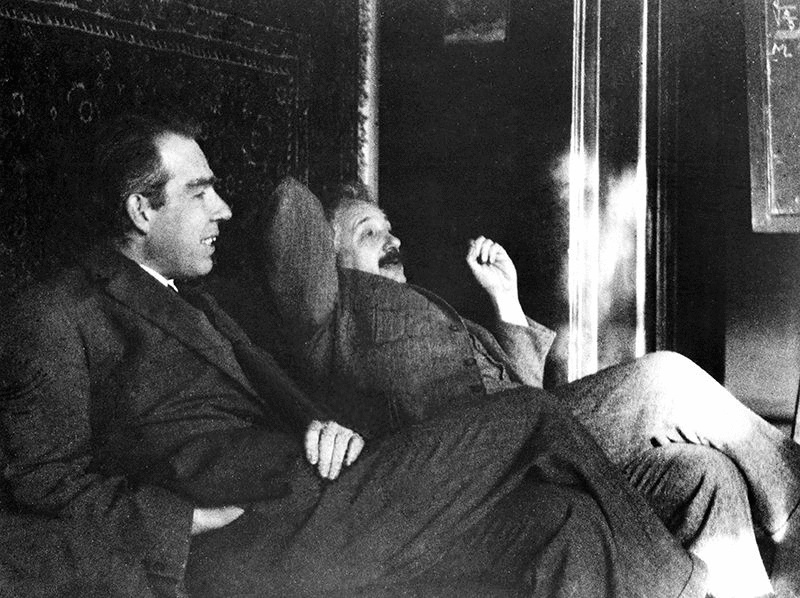 The major battle of that conference involved the debate between scientific realists, led by Einstein, and instrumentalists, led by Bohr. 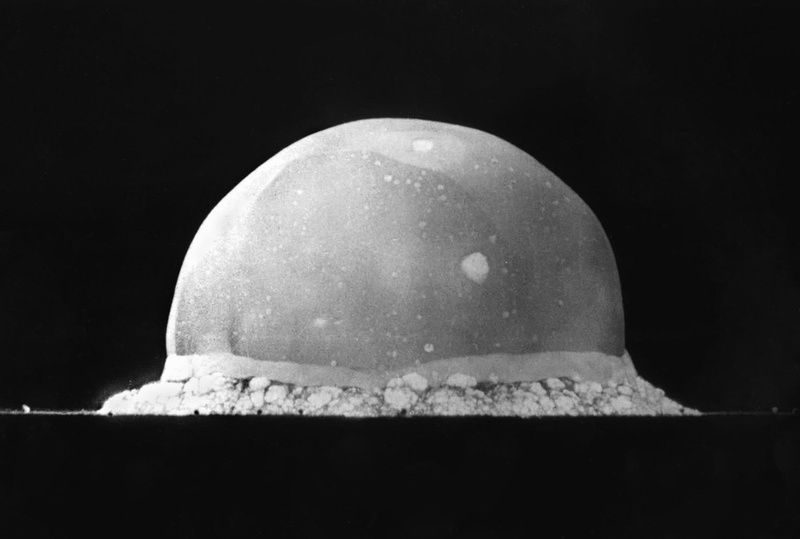 The first-ever detonation of a nuclear weapon, code-named “Trinity,” took place at 5:29 a.m. on July 16th, 1945. Giving birth to the atomic age, this was a culmination of efforts by the scientists of the Manhattan Project. The test took place at about 35 miles (56 km) southeast of Socorro, New Mexico at what at that point was the USAAF Alamogordo Bombing and Gunnery Range. The 22-kiloton explosion involved a plutonium device, nicknamed “The Gadget.” It had the same design as the “Fat Man” – the bomb eventually detonated over Nagasaki on August 9th, 1945. Interestingly, the name “Trinity”” came from J. Robert Oppenheimer, the director of the Los Alamos Laboratory. He was inspired by the poetry of John Donne. This celebrated image was taken by the Voyager 1 space probe at the suggestion of the astronomer Carl Sagan on February 14th, 1990. The probe at that point was 6 billion kilometers (3.7 billion miles) away from Earth. 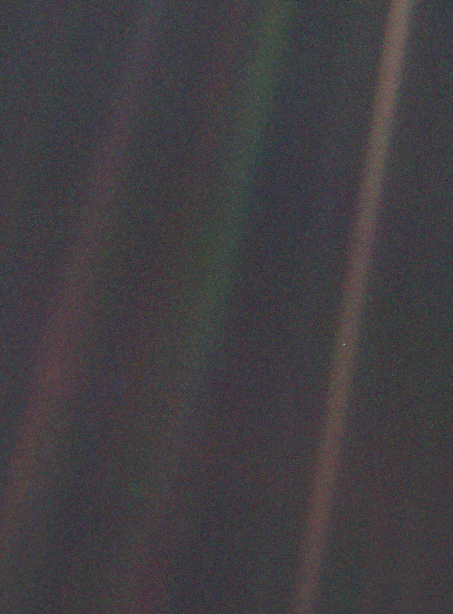 Because of that, Earth looks just like a dot or a pixel in the photo, highlighting the astounding vastness of space. 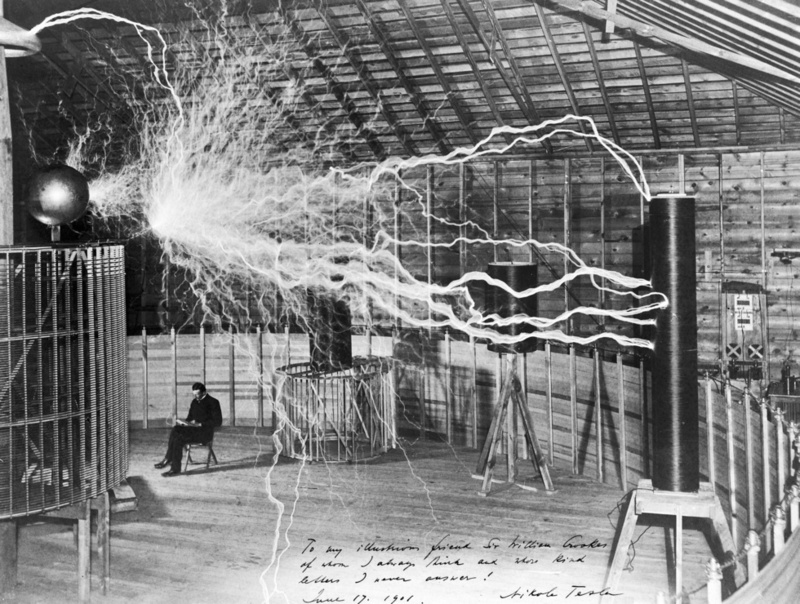 This remarkable image of the inventor Nikola Tesla was taken in his laboratory in Colorado Springs around 1899. Here he is supposedly sitting and reading right next to his gigantic “magnifying transmitter” while this high voltage generator creates stunning bolts of electricity. This photo did much to further the Tesla myth, but it was actually a promotional stunt engineered by the photographer Dickenson V. Alley. He used a double exposure, combining images of the machine producing sparks in a dark room with an image of Tesla sitting in his chair. 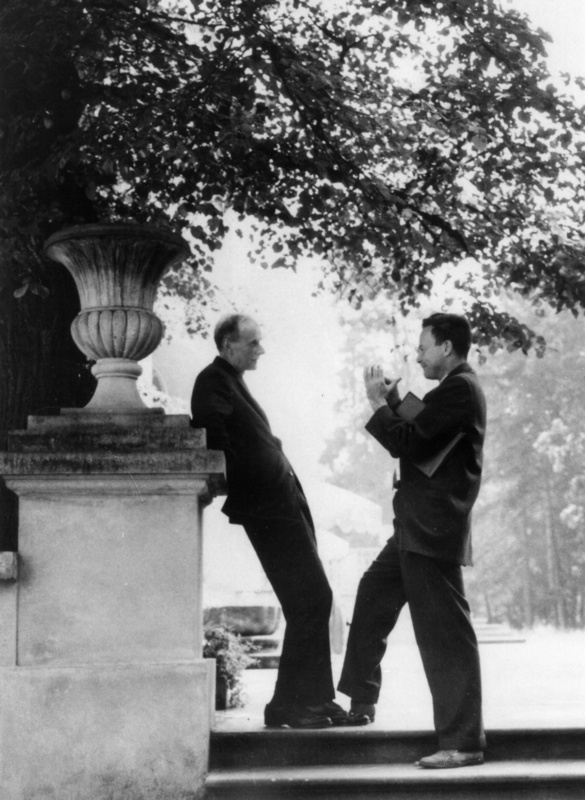 In this humanizing photo, taken in Warsaw in 1963, the physicist Richard Feynman is talking with his hero – the physicist and Nobel Prize winner Paul Dirac, who is considered one of the founding fathers of quantum mechanics. 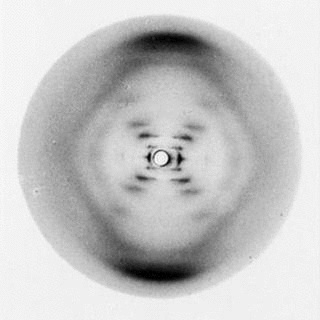 Photo 51 was the first-ever image taken of DNA, in a critical step towards identifying its structure. The photo showing a double helix was produced by the PhD student Raymond Gosling in May of 1952, working under the supervision of Rosalind Franklin at King’s College London. The photo ended up being instrumental in the work of Francis Crick, Maurice Wilkins and James Watson in developing the chemical model of the DNA molecule, which led to their 1962 Nobel Prizes. Unfortunately, the prize was not given to Franklin. 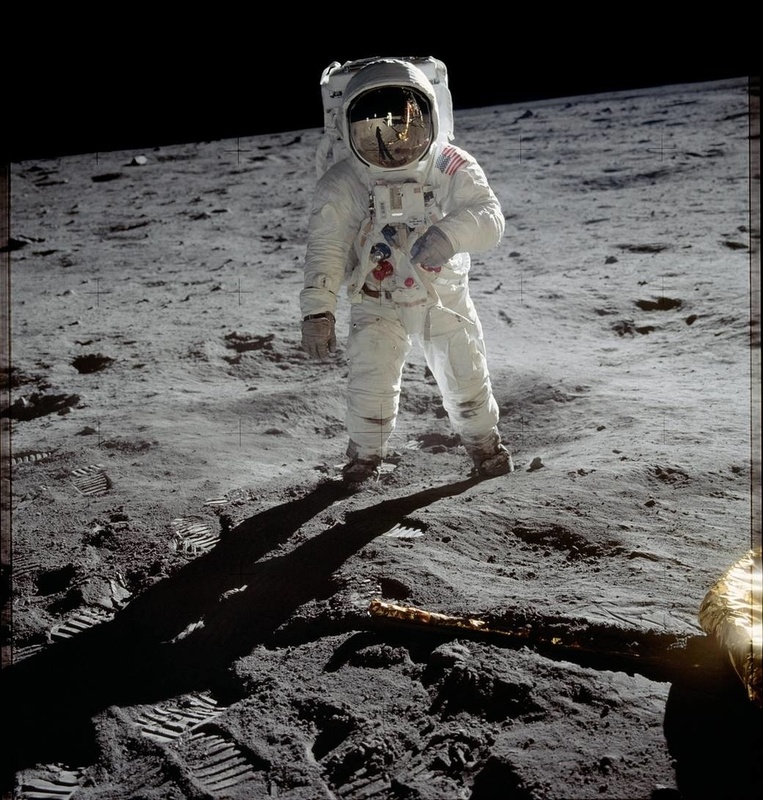 This photo, taken on July 20th, 1969, is of the Apollo 11 astronaut Buzz Aldrin walking on the surface of the moon. It’s hard to get more iconic than that. Aldrin was actually near the leg of the lunar model Eagle when the picture was taken by the Apollo 11 commander Neil Armstrong. The gear used was a 70mm lunar surface camera. That day Armstrong and Aldrin went exploring the Sea of Tranquility for about two and a half hours. Michael Collins, their crewmate, orbited above in the command module Columbia. ￼In the 1920s, the physics world erupted in debates over the interpretation of the fledgling field of quantum mechanics between some of history’s most accomplished physicists. One one side you had Nils Bohr and Werner Heisenberg who claimed in their theory that physical systems have only probabilities and not specific properties until someone measured them. On the other side, as explains Nature magazine, you had Albert Einstein arguing that entities had independent realities, encapsulated in Einstein’s famous quip God “does not play dice”. He proposed that the Copenhagen interpretation was incomplete and that there existed yet-undiscovered hidden variables. This battle for the soul of quantum mechanics, captured in this 1925 photo, is still with us today. 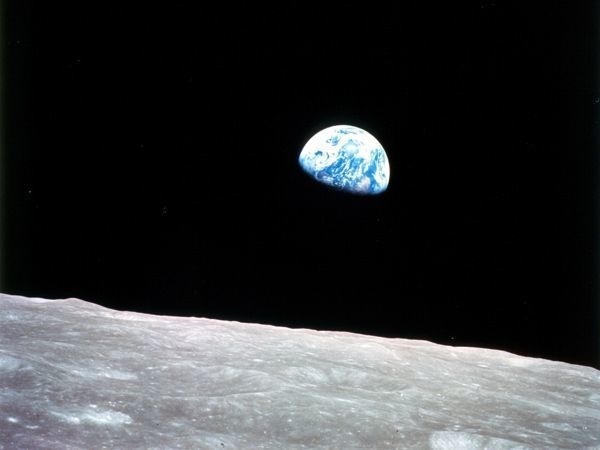 This is another NASA photograph, this one taken on December 24th, 1968, by the Apollo 8 astronaut William Anders during a first manned voyage to orbit the moon. This Christmas-Eve image has come to be considered “the most influential environmental photograph ever taken,” as it was declared by the noted nature photographer Galen Rowell. The color photo of the vibrant, lively Earth over the barren landscape of the moon changed many people’s views and religious stances. It was also featured on a U.S. Postal Service stamp. All emotive and incredible images with great backstories all should be proud of!